Quantum Energy Systems are MCS Solar PV installers in Hinckley, Leicestershire and the surrounding areas. 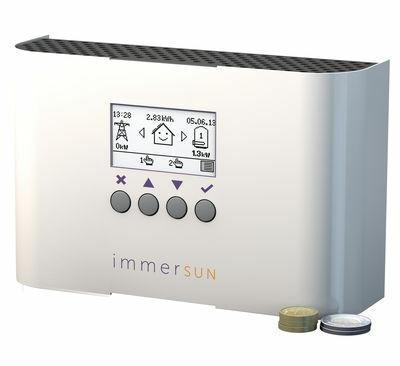 Solar PV Systems generate electricity that can be used in your home, office, factory and with any excess not being used can be store in battery systems or Hot water via the iboost or immersun 2. 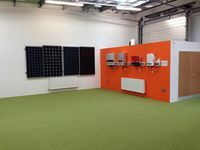 The government is encouraging investment in microgeneration technologies such as solar PV panels, allowing users to sign up with their electricity supplier to gain the the Feed in Tariff (FiT) when installed by a MCS accredited company. The current rate at which all of the electricity generated by your solar PV panels is paid at 4.25p per kw even if this is consumed by yourself or tenants along with 4.91p per kw exported (50% deemed). Quantum Energy Systems can save you money and help you do your bit for the environment by reducing your carbon footprint. Installing photovoltaic solar panels will generate electricity from daylight (even through the winter months) they do not need direct sunlight! 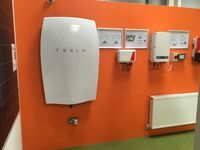 When you generate your own electricity you are guaranteed to be paid by the government's approved 'Clean Energy Cash Back Scheme' or 'Feed in Tariff' known as (FIT) for 20 years index linked with current inflation rates. 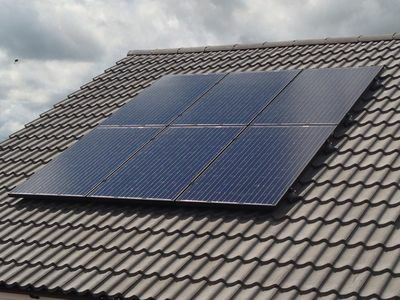 DECC (Department of Energy and Climate Change) has introduced regulations to put the Feed-in Tariffs (FITs) scheme on a more predictable, certain and sustainable footing for householders, businesses and the solar industry. Feed in Tariffs can only be claimed if your system has been installed by an MCS accredited installer, Quantum Energy Systems are accredited installers. The purpose of an EPC is to record how energy efficient your property is. A Domestic Energy Assessor will survey your property and rate the energy efficiency and CO2 emissions of the building and allocate a value from A to G - A being very efficient and G being very inefficient. A recommendation report is also produced at the same time which lists measures that can be taken to make the property more energy efficient and achieve a better rating. We would recommend getting a report done before you think about measures that will improve your property’s rating. We can arrange for the EPC to be done or you can find your own accredited person to undertake the EPC. Either way if you decide to go ahead with an installation by QE Solar we will refund the £55+VAT cost of your EPC. To receive the standard rate Feed in Tariff (FiT) your property will have to meet the energy efficiency requirements to achieve an EPC of band D or better. If your property is assessed and achieves a lower band of E, F or G you can still fit solar panels, however you will receive the Feed in Tariff at a lower rate of 9p/kWh. 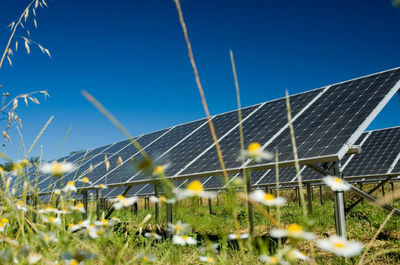 Solar cells in the panels convert daylight into electricity. The electricity generated by the panels is “direct current” (DC), this is then converted into “alternating current” (AC) which can be used in the property, by using an Inverter (AC/DC converter). Solar panels work by using the energy radiated by the sun and convert it into useable electricity for your home or property. 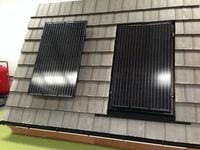 Some people believe that solar panels only work during the summer, however solar collectors can operate all year round even on cloudy days in the UK. One of the most prolific and successful countries to harness the use of this technology is Germany with a similar climate to that of the UK. 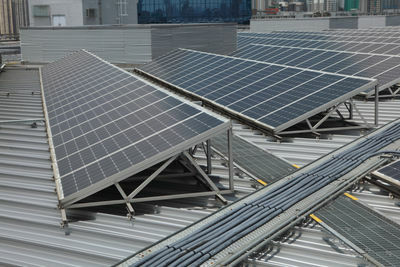 For maximum efficiency panels should be located to receive as much light as possible where there are no surrounding buildings or trees to shade or obscure the light from the sun. Systems can be mounted on the roof, in the roof, on a flat roof and in some cases on the ground. For installation on all types of pitched roof coverings such as tiles, slate and metal corrugated roofs. Ideal for retrofitting to existing roofs, the panels are secured by high quality rails/frames. Panels are integrated into the roof surface to blend in with the surrounding area, usually used on complete roof refurbishments or new build. We can supply two types of flat roof installations depending on panel orientation – portrait or landscape. Ideal for open spaces where systems can be installed quickly and easily. 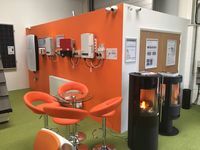 A cost effective way to heat your water with surplus energy from your PV solar system. The immerSUN automatically directs any excess generated electricity, not used by the house, to the immersion heater in the hot water cylinder. Click here to find out how this device works. 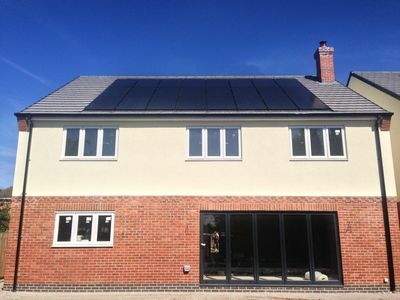 We install renewable energy systems all over the Midlands, including; Birmingham, Hinckley, Wolverhampton, Walsall, Aldridge, Sutton Coldfield, Burbage, Nuneaton, Coventry, Leicester, Bromsgrove, Stourbridge, Kidderminster, Bridgnorth, Shrewsbury etc. we are centrally located with easy access to the Midlands motorway network.